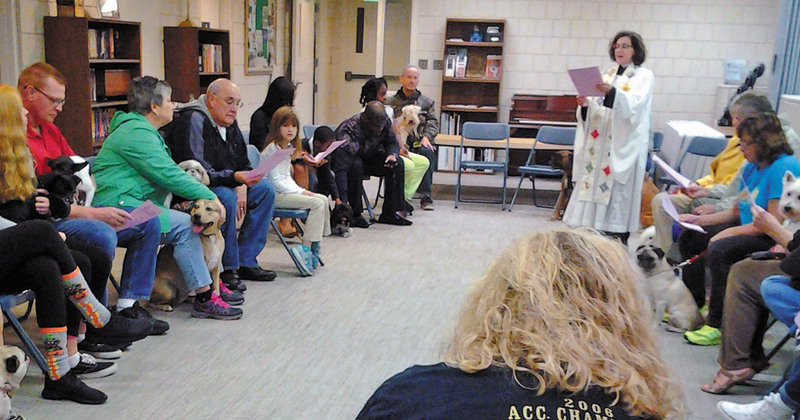 On Saturday, October 7th, St. Clement’s Episcopal Church will open its doors for the annual Blessing of the Animals. This is a wonderful opportunity to shower your beloved pet of any shape and size with the blessings that come from this service. 1) Our pets are beloved members of our families. And, for some, they offer love, comfort and companionship missing in human relationships. This service gives people an opportunity to honor and celebrate the non-human members of their families. 2) The Blessing of the Animals is done on or near October 4th, the feast day of St. Francis of Assisi, the patron saint of animals. St. Francis considered all creatures to be his brothers and sisters. Celebrating the feast of St. Francis reminds us of our responsibility to be good stewards of God’s creation. St. Clement’s asks that all pets be restrained by leashes or in crates, and kids be kept under control, due to the business of Harper Road. The service will take place in the parking lot of the church, weather permitting. If it rains, the service will be held in the church basement. Horses are also welcome and will be blessed at the church’s portico. The Blessing of the Animals takes place on Saturday, October 7th from 12:30–1:30 pm at St. Clement’s Episcopal Church, located at 3600 Harper Road in Clemmons. For more information, call the church office at 336.766.4323. Previous ArticleRonald McDonald House Come Enjoy the Character Breakfast!